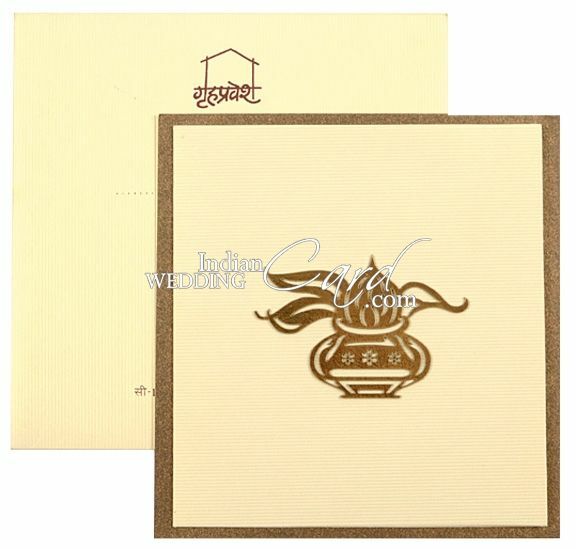 D-5655, Cream Color, Shimmery Finish Paper, Laser Cut Cards, Hindu Cards, House Warming. 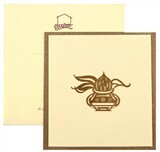 Cream self-textured shimmery paper (250gsm) for card and mailing envelope. Main card is pasted on bronze shimmery paper with Large Kalash symbol laser cut in Gold paper.